Join Host Fred Johnson as he makes the often-confusing Agency Disclosure Form simple to understand! August statistics reveal a Central Oregon real estate market that continues to be strong, but there are some slight drops in numbers that indicates the busy summer season is coming to an end; particularly in the lower-end price ranges. The month ended with a total of 562 Active Listings compared to 583 at the end of July, a 3% decrease. Overall, August saw slight decreases in Active, New, and Pending listings coupled with a few small increases in reduced prices for all price ranges below $625,000. The only price range to see a slight increase in new listings was the $425,100 – $525,000 category. The most significant growth in Active Listings was in the $425,100 – $525,000 range with a 13% increase. The largest decline was in the $125,000 – $225,000 category with a 40% decrease in Active Listings. In July, this same price range also saw decreases, though smaller at 5% but it will be interesting to see what September brings. The number of listings moving to pending status decreased by nearly 6% in August compared to July, with most of the decreases happening in both the $525,000 and $625,100 (and up) ranges. The total number of reduced properties had an overall increase of 8.6% and this was driven by mostly all price ranges seeing an increase in price reductions when the exception of the $625,100 & up category that actually saw a decrease in price reductions. The total number of properties sold in August was slightly down from July by 1.6%. Properties sold in July were 248 while August was 244 so this is not a huge decline. The largest decline in sales was the in the $125,000 – $250,000 range which is most likely due to the fact that this range also has the least number of active listings in August. The biggest increase in sales was in the $525,100 – $625,000 range with a 40% increase (15 sold in July compared to 21 sold in August). Average sales price to listing price (the percent of properties that enter into contract for exactly what the listing price was) seemed fairly unmoved from July. In all price ranges, nearly 99% of properties entered in contract for what the listing price was which indicates that people are willing to pay for what the current prices are in the market so it’s still a strong market currently. The average days on market increased in August by 4.7% (103 in July compared to 108). In July, this number had decreased so perhaps there’s a slight correction for summer activity and we will definitely know if there’s a trend or not by looking at the upcoming month’s numbers. All price ranges saw an increase in the days on market with the exception of the $325,100 – $425,000 and the $625,100 & up range. Overall, there was an increase in the months of inventory from 3.2 to 3.3. This isn’t a huge jump but if we look back at June we see it was at 2.4 months, then increased to 3.2 months and now sits at 3.3. The biggest increase was in the $625,100 range while the biggest decrease was in the $525,100 – $625,000 range. It’s too early to make any large conclusions, however, with the continued increase in days on market, the increase in inventories and the slight decrease in sales, it does seem the busier summer season is slowing things down a bit. Properties are definitely selling for their listing prices so any cooling off of summer activity hasn’t affected the overall market values which continues to be strong. Duke Warner Realty was established in 1967 by Duke and Kitty Warner. Their philosophy was to establish a first-rate real estate company sensitive to their customers’ needs. Duke Warner Realty’s brokers share this philosophy, and today the firm is widely known for its personalized service and reliability. For more information, contact www.dukewarner.com (541) 382-8262. When purchasing a home, a question that occasionally comes up is whether or not it is worth it to pay more for a mortgage in Bend, Oregon. Let us explore the options. In many cases buyers do quite well to obtain the cheapest possible mortgage. 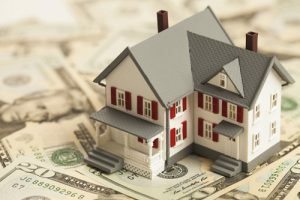 However, in some situations buyers may find that paying a little bit more is well compensated by how their needs and circumstances are addressed with extra service. Let us examine several of these situations. If any of these seem to fit for you, consider talking to your broker at Duke Warner. With decades of experience in the local market, we are well versed in helping our clients ascertain if the extra money spent may be worth it in particular situations. A key issue that comes up for some borrowers is Private Mortgage Insurance (PMI). In general this is required on loans which do not meet the minimum 20% down payment in order to insure the lender against possible default. Many buyers manage to find creative ways of coming up with the 20 % down, but this is not always possible. If that is the case, some lenders do offer other options. One of these is the possibility of self-insuring via the offering of a higher interest rate. While this will result in a more expensive mortgage, it can be a way into a home for some buyers. Another situation is if you need significant flexibility with the overall timeline of the transaction, like the capacity to either advance or delay it. 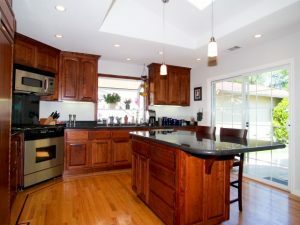 For example, it is not uncommon for a buyer to be selling an existing home during the same period. So the closing on the new home may actually be contingent on the sale of the home that is currently owned. In this circumstance, a lender who is willing to accommodate the vagaries of the process may be well worth the slightly higher interest rate or fees. Winter is finally here. You have enjoyed taking in the brilliant beauty and the abundant opportunities for outdoor adventure. Some of you may be pondering the possibilities of enhancing your overall quality of life by purchasing a vacation home in Bend, Oregon. Estimates are that somewhere around 80 percent of second-home buyers actually choose a home that is within reasonable driving distance from their primary residence. Sometimes a buyer will purchase a vacation home and then hardly ever go because it is too long of a journey. That is not what you hope to do at all! Purchasing a vacation home closer to your main residence makes it easier to check in on it and perform basic maintenance and repairs. Fortunately, there are a large number of second home possibilities within the Central Oregon area that fit the bill. When choosing your location, it is always wise to squarely take your interests and passions into account. Also, what do you love most about the area? What might you be concerned about? Don’t rush into a purchase because your family had a great vacation there. Emotions can create excitement, but avoid making a rash decision. It is often a great idea to spend further time in the area if you’ve not already done so. Get to know the area better, and particularly in more than one season. Finally, there are some key financial considerations. Is there a possibility to rent your home to other vacationers while you are not using the home? Is there any potential future gain in value? Also remember that mortgage rates are often a bit higher for second homes than they are for primary residences—especially if you will be depending on rental income to qualify. In that case, lenders will consider this home as investment property. In addition, do your due diligence regarding closing costs, insurance, taxes, and maintenance. 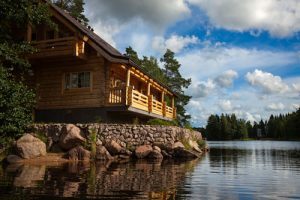 If after careful calculation you indeed can fit these expenses into your budget, you can rest peacefully at night—including in your new vacation home in Central Oregon! Do it yourself (DIY) remodeling is popular. Not only can it save money and potentially add to the resale value of a home, it also enables you to enjoy the creative process. Planning out and working on home projects from the beginning to the end gives homeowners quite a bit of satisfaction and control over the outcome. This minimizes the odds of what is known as remodeling regret. However, it is very important to carefully determine which projects to undertake, and which to leave to professionals. DIYers can learn from the strengths and experiences of each other. This is important because it’s easy to get in over your competency level. While you may be confident in your DIY skills, there’s no shame in asking your friends for help. After all, it is not uncommon for even professionals to solicit input from colleagues and specialists. In addition, multiple viewpoints might help the project to achieve a higher level of overall quality in the end. Regardless of difficulty, many home projects require professional input as a necessary safety precaution. It is often wise to avoid any project that involves electrical work or changing the structure of a room. For instance, knocking down a wall to alter the layout and space could be a recipe for disaster if it’s a load-bearing element. And in bathrooms, water and electricity can be a dangerous combination—this is the place for a professional electrician. The bottom line is, attempting projects without proper skills and knowledge can end up depreciating your home’s value because it may not be done right, or it may fail a home inspection. Not to mention it will most certainly take additional time and money to fix the unexpected problems. Are you planning to remodel some portion of your home before you put it on the real estate market here in Bend, OR? Be careful to realize when a project is beyond your skillset and you need to hire a professional; this can also be a learning opportunity for you. With close observation and some careful questions, you can learn some of the finer points of the art of remodeling. With your improved understanding, you might then have more tools for saving money in your future home improvements.